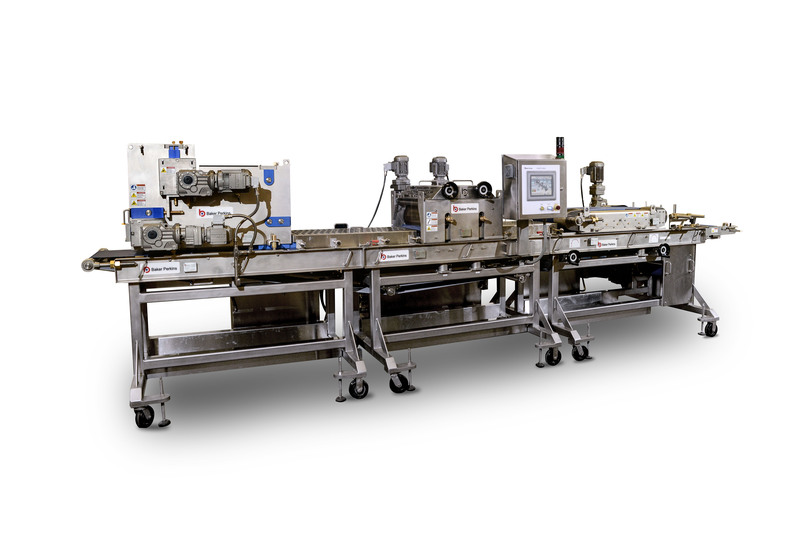 Home Industry Updates EQUIPMENT & MACHINERY Crunchy granola bar lines expand product range. A compression roll provides a final consolidation and gauging of the sheet before baking. After cooling, a slitter and guillotine divide the sheet into individual bars before wrapping. Alternatively, to produce a smooth cereal of free-flowing consistency, the sheet could be fed into a kibbling unit before packing. In addition to granola bars, Baker Perkins uses wirecut technology to make a variety of fruit filled and breakfast bars.